The newest location of Tuscaloosa’s Dreamland Bar-B-Que opened in the renovation of downtown Duluth’s Parson’s Alley, last summer. 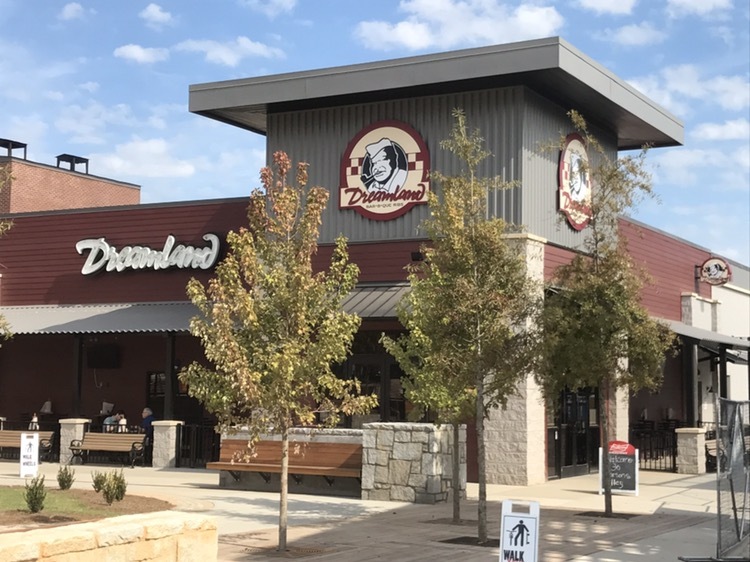 The northeast side of town has been without a Dreamland since the Peachtree Corners location burned down several years ago. At one time, there were three Atlanta locations – with the opening of this one, there are just two, this one and the one in Roswell. On the day I took the picture above, when we arrived at (12:30), the pit was fairly empty, except for a few butts on the left side of the middle pit. According to our server, most everything had been pulled for the lunch crowd and was being prepared in the kitchen. On another day, the pit was overflowing. If you’ve never been to the Tuscaloosa location (or even to one of the locations in Birmingham) you’ve not really been to Dreamland. The franchises we’ve had here (I’ve been to three of the four) all seem to fall short in the ribs area. They tend to be on the dry and tough side. 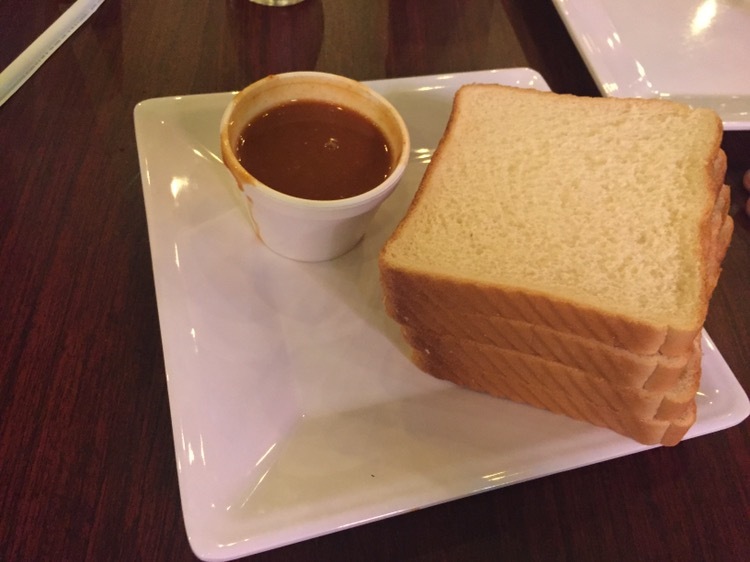 But this place does get the sauce right – it’s good to enough to serve as a dip for the white bread. So they serve it that way. On my first vi sit, I ordered ribs, sausage, mac-n-cheese and green beans. The sausages were very good and the ribs were dry. The green beans were very Southern and very good. On a subsequent visit, I ordered rib tips and chips – a huge amount of food that is exactly what it says it is: the tips cut off the ribs, covered with sauce, served with house made Ruffles-like potato chips. A significant amount of food, fairly priced and tasty. This has become my “go-to” dish, as this is one of the closest BBQ places to the office, and one of my co-workers REALLY likes their Brunswick stew. Note: this Zomato link is for their Roswell location – there does not appear to be one for the Duluth spot.